Now that you have a lot of data into your geospatial database, we should take a little bit of time to discuss how to manage it and keep it running smoothly. This can make the difference between requests timing out and having data be returned almost instantaneously. There are a large number of sources online that will go over how to configure PostgreSQL for maximum performance. The PostgreSQL team themselves provide such documentation at the Tuning Your PostgreSQL Server wiki page and a list of many techniques at their Performance Optimization wiki page. For the PostGIS side of things, Boundless has a workshop page titled Tuning Postgres for Spatial that provides some information on configuring for spatial operations. 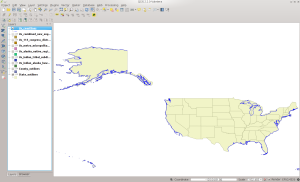 The PostGIS team also has some tips that can be found at this link. Another tool is the pgtune utility. This is a command line tool that lets you specify what you will be using your database for and what type of machine it is running on. 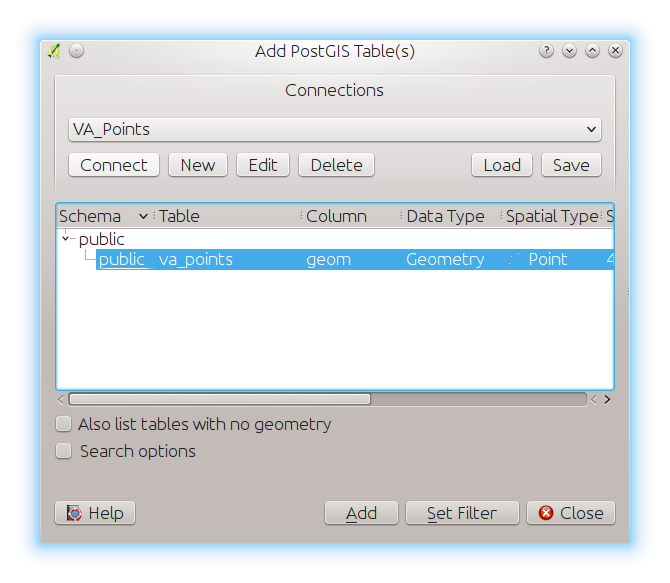 It then will give you several options that you can put in the PostgreSQL configuration files. In general, the main things you should consider are creating indices, vacuuming your database to remove unused space, keeping your database statistics up to date, and clustering your database so that data that is spatially near each other are physically near each other on disk. 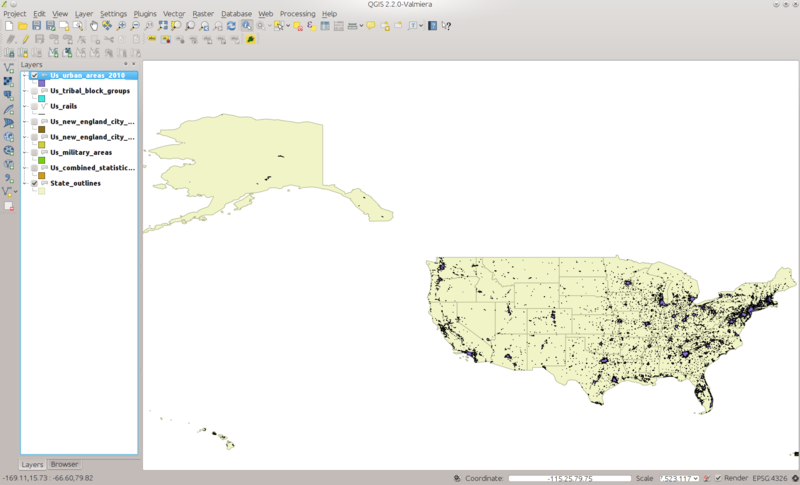 The geospatial index here is the us_zip_code_areas_geom_gist while the standard primary key index is us_zip_code_areas_pkey. This command tells PostgreSQL to clean up any unused space and update statistics on the us_zip_code_areas table. These statistics are used internally by the database when it runs user queries on the data. As you can see, the geom index now has the world CLUSTER behind it, denoting that this is the index that you clustered on. 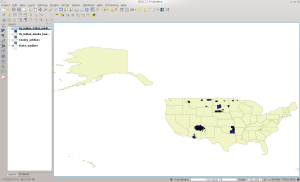 It will generally make more sense for geospatial databases to cluster on the geospatial index as that will ensure data that is near each other in the real world is near each other on disk. However, now that you have moved data around on disk, you again need to update the database statistics. You will not need to vacuum it again, as the cluster command does this itself as it rearranges the data. So there you are. Running these commands on your data tables, in addition to tuning your database itself, can make a huge performance difference over simply accepting the default options. 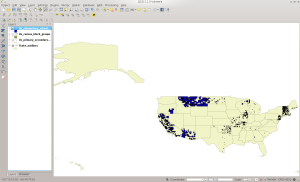 Next time we will go over backing up your database and then head on to loading data again, such as the USGS Geographic Names Information System (GNIS), the National Geospatial-Intelligence Agency’s Geonames, and OpenStreetMap. Now we move on to the rest of the Census data that I’m discussing for this series: ROADS, LINEARWATER, AREAWATER, and AREALM. 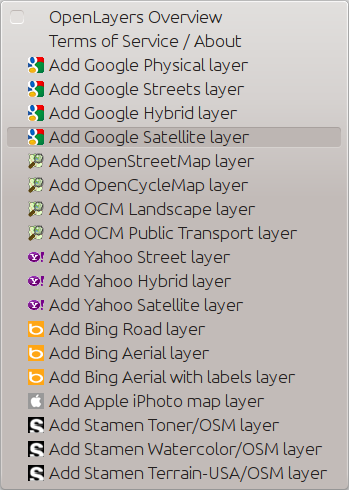 If you have not already, go ahead and use lftp to mirror these directories. 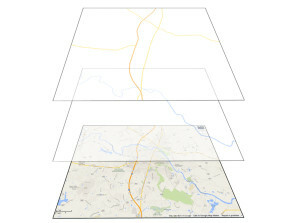 Keep in mind that ROADS and LINEARWATER are several gigabytes in size so make sure you have enough room to stage them. 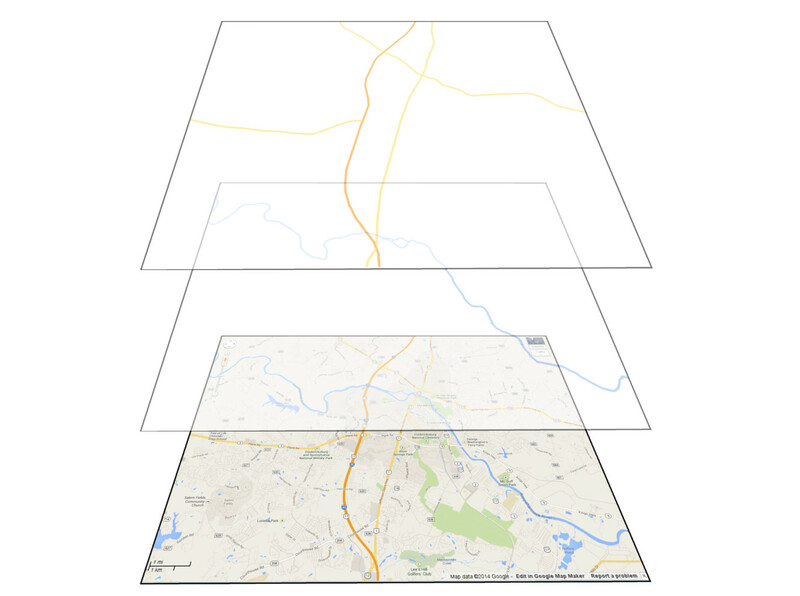 [bmaddox@girls ROADS]$ for foo in *.zip; do unzip -tq $foo; done |grep -v "No errors"
echo "Moving files to state directories"
echo "Creating initial state shapefile $shapefilename"
echo "Now deleting the initial shapefiles to avoid duplication"
echo "Merging the rest of the files into the main shapefile"
The following commands show how to convert all of the county-level Shapefiles in the 01_Alabama into a single state-level Shapefile. 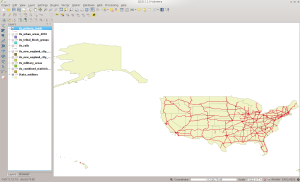 NOTICE: CREATE TABLE will create implicit sequence "us_roads_gid_seq" for serial column "us_roads.gid"
NOTICE: ALTER TABLE / ADD PRIMARY KEY will create implicit index "us_roads_pkey" for table "us_roads"
You will need to use the -a command to APPEND instead of INSERT and CREATE into the database. 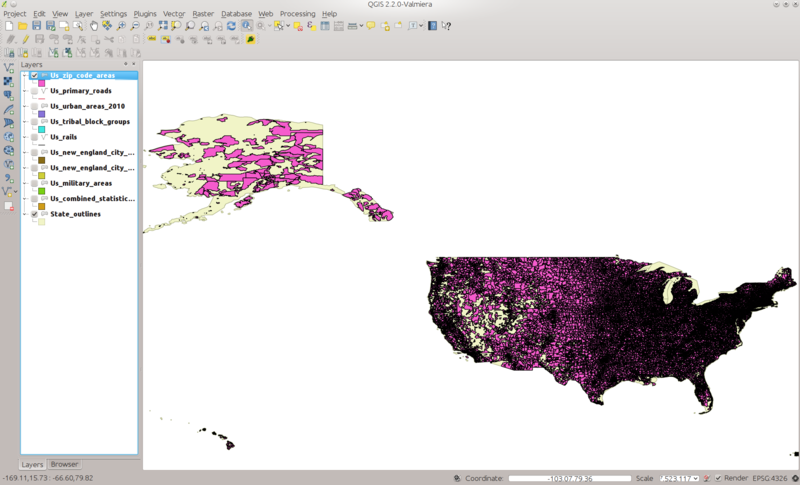 Now move on and do the LINEARWATER and AREAWATER data the same way. The first state you load use the -c -D -I options, the rest the -a -D ones. As a reminder, as I write these posts, I am uploading the files to my website at http://brian.digitalmaddox.com/blog/?page_id=202. 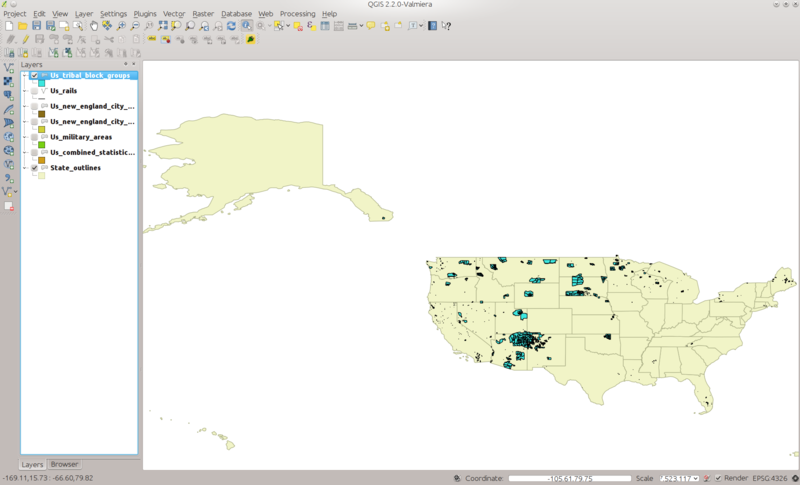 for foo in *.zip; do unzip -tq $foo; done |grep -v "No errors"
NOTICE: CREATE TABLE will create implicit sequence "us_area_landmarks_gid_seq" for serial column "us_area_landmarks.gid"
NOTICE: ALTER TABLE / ADD PRIMARY KEY will create implicit index "us_area_landmarks_pkey" for table "us_area_landmarks"
With this, you should be able to finish importing all of the Shapefile data you want. I will be uploading the files I have processed for this round up on the website soon. In the meantime, happy GISing! After the last long blog post, here comes another in the continuing discussion of loading US Census TIGER data into PostGIS. 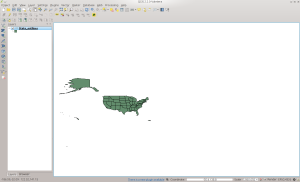 Since the datasets here are more complex than the single national-level files, we will use some simple Bash shell scripts to process and convert the data into single state- or national-level files. So without much ado, let us continue. 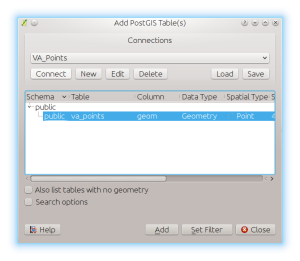 Once you have uploaded all the data from the previous post into PostGIS, you can delete the files from the staging directory. You will need the space as these datasets typically measure in the hundreds of megabytes to gigabytes. Additionally, unlike the last post where we downloaded all the national-level files in one pass, here we will do a single dataset at a time to save space. 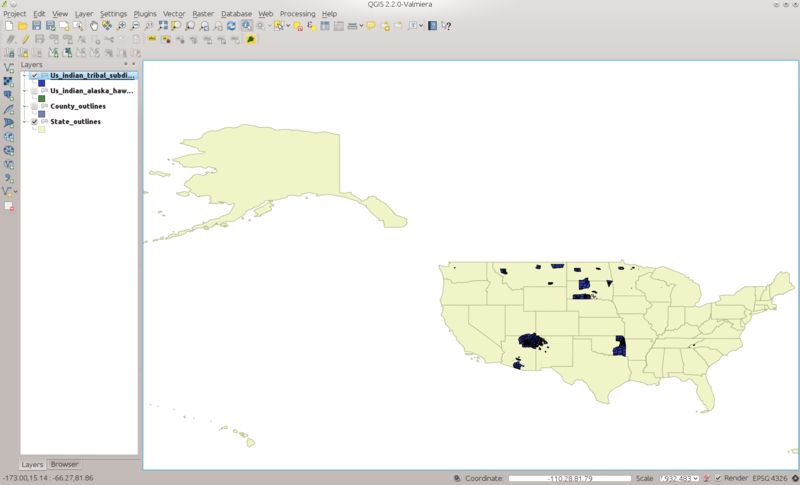 Again, I am posting the state/national level converted files to my website and will post the link soon. To begin, run lftp again and this time mirror the PRISECROADS/ directory. 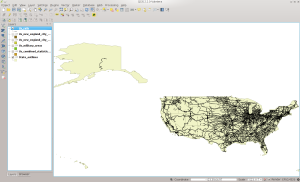 This dataset is a combination of basically interstates and major US highways. When done downloading, you will have 283 megabytes of zip files where each file covers a state. We will take this file and convert it to a single national file. As with the last post, I’m including the commands and their outputs below. First we will unzip all of the files inside the same directory. Now that the files are all in the same directory, we will use the following script called doogr.sh to convert them. 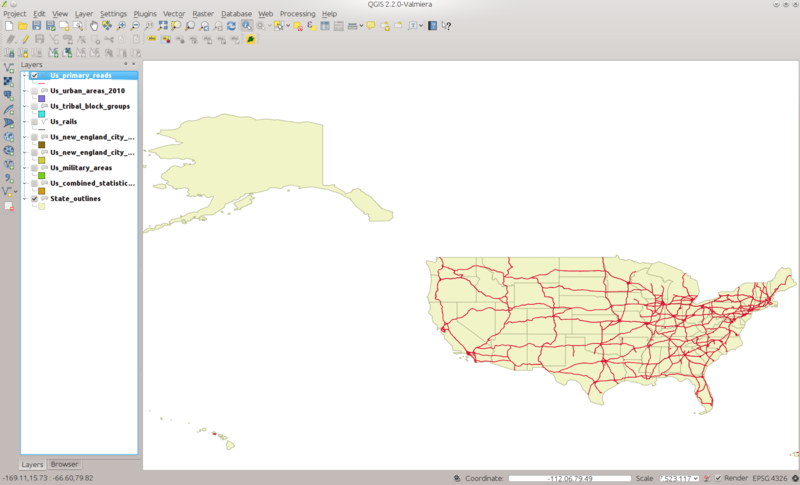 NOTICE: CREATE TABLE will create implicit sequence "us_primary_secondary_roads_gid_seq" for serial column "us_primary_secondary_roads.gid"
NOTICE: ALTER TABLE / ADD PRIMARY KEY will create implicit index "us_primary_secondary_roads_pkey" for table "us_primary_secondary_roads"
NOTICE: CREATE TABLE will create implicit sequence "us_census_block_groups_gid_seq" for serial column "us_census_block_groups.gid"
NOTICE: ALTER TABLE / ADD PRIMARY KEY will create implicit index "us_census_block_groups_pkey" for table "us_census_block_groups"
NOTICE: CREATE TABLE will create implicit sequence "us_elementary_school_districts_gid_seq" for serial column "us_elementary_school_districts.gid"
NOTICE: ALTER TABLE / ADD PRIMARY KEY will create implicit index "us_elementary_school_districts_pkey" for table "us_elementary_school_districts"
Moving on, now run lftp and mirror the SCSD and UNSD directories. These are the Secondary School Districts and Unified School Districts, respectively. Change to your SCSD directory and unzip all of the files there. As you should be getting the hang of this now, here are the commands and their output once you have unzipped the tl* files. NOTICE: CREATE TABLE will create implicit sequence "us_secondary_school_districts_gid_seq" for serial column "us_secondary_school_districts.gid"
NOTICE: ALTER TABLE / ADD PRIMARY KEY will create implicit index "us_secondary_school_districts_pkey" for table "us_secondary_school_districts"
NOTICE: CREATE TABLE will create implicit sequence "us_unified_school_districts_gid_seq" for serial column "us_unified_school_districts.gid"
NOTICE: ALTER TABLE / ADD PRIMARY KEY will create implicit index "us_unified_school_districts_pkey" for table "us_unified_school_districts"
NOTICE: CREATE TABLE will create implicit sequence "us_state_legislative_lower_gid_seq" for serial column "us_state_legislative_lower.gid"
NOTICE: ALTER TABLE / ADD PRIMARY KEY will create implicit index "us_state_legislative_lower_pkey" for table "us_state_legislative_lower"
BTW, something did not go wrong if you notice that there is no data for Nebraska. It has a unicameral form of government, which means it is not split into a House and Senate. 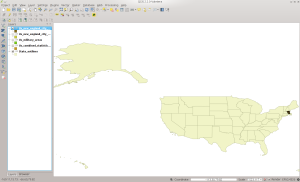 NOTICE: CREATE TABLE will create implicit sequence "us_state_legislative_upper_gid_seq" for serial column "us_state_legislative_upper.gid"
NOTICE: ALTER TABLE / ADD PRIMARY KEY will create implicit index "us_state_legislative_upper_pkey" for table "us_state_legislative_upper"
I’m going to end this now so it is not as crazy long as the previous post was. Next time we will work on the biggies of the Census datasets: roads, linearwater, areawater, and landmarks. 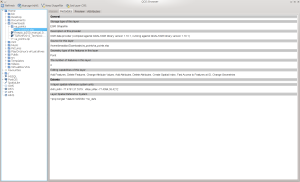 With the release of Ubuntu 13.10, the Ubuntu GIS team has not yet fully rebuilt packages for the new release. 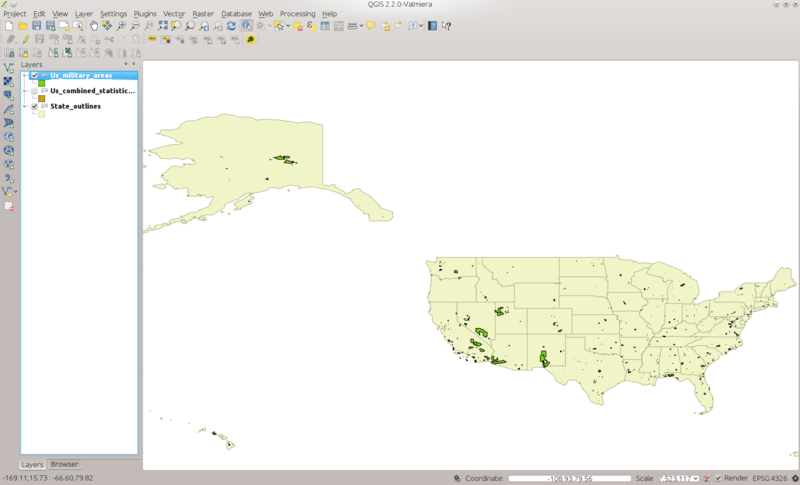 Some have been added, but QGIS has not been updated yet. Since I did not feel like going back to 1.7.4 after coming back to Kubuntu from the Fedora KDE spin, I decided to build my own debs for 13.10. 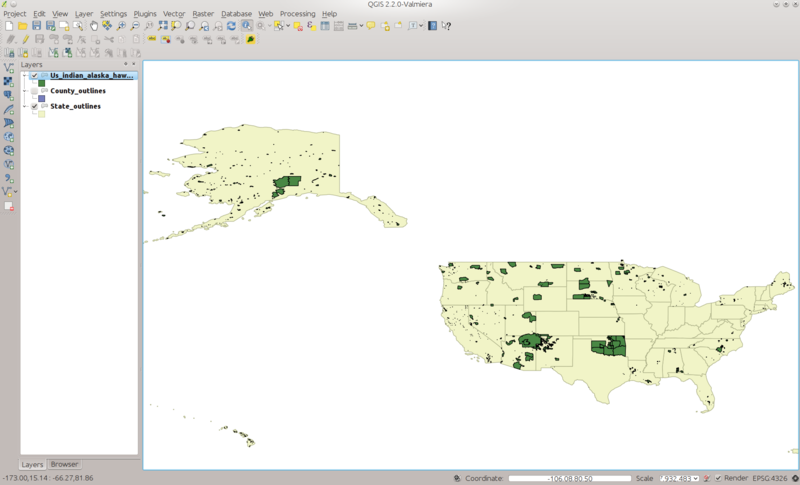 After much fighting and patching and hacking I’ve built QGIS 2.0.1 and the necessary related debs that are dependent on what is currently in the ubuntugis-unstable PPA. 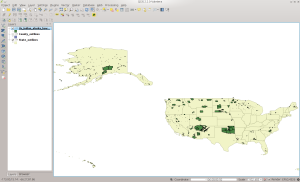 Once you are done, do the standard sudo apt-get update, sudo apt-get upgrade, and then sudo apt-get install qgis (assuming you added ubuntugis-unstable and followed my suggestion about making your own local repo). That should be all you need to do. I haven’t signed them or anything so you’ll likely need to install from the command line so you can answer yes when prompted about them not being signed. If using them causes your business to fail and you end up homeless on the street, not my fault. If using them calls forth Cthulu and he eats your first born, not my fault. If you use them to gather coordinates for bombing a military installation and instead hit an orphanage, not my fault. If your wife leaves you and you end up writing a Country song named “Feed Jake, Part 2”, not my fault. However, I’d like to hear it since I have a soft spot for the original. 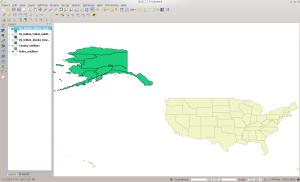 In this installment, we will look at setting up a geospatial database to store your data. This is not a long post, but the first where you can get your feet wet, so to speak. 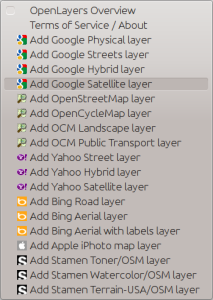 If you are going to do anything more than just look at a data layer or two, you will want to set up a database. Some vector data sets can be huge (several hundred gigabytes in fact), and opening them in a GIS can take forever. Even if you only want to look at a small part of a file, applications will have to scan through all the data to get to the part you want. Some data sets such as Shapefiles allow you to create index files to help locate the data faster, but you will likely want the added functionality that a spatial database gives you. The biggest advantage of having a spatial database is that it does a better job of indexing and analyzing the data and stores it for faster access. When your application requests an area, the database will send back only the data covering that area, which will greatly speed up access and processing. Databases can physically sort the data so that features close to each other are stored in the same areas on disk as well. 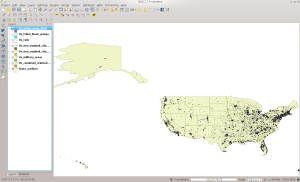 I am going to describe PostGIS here, mainly because it is the geospatial database I use on a regular basis. 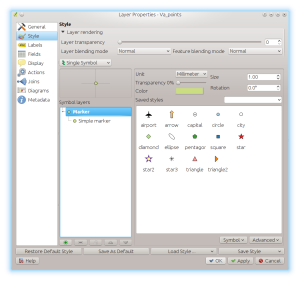 Most Linux distributions should have a fairly recent version of the software in their repositories. My Fedora 19 system has version 2.0.3 of PostGIS from the Fedora- and 9.2.5 of PostgreSQL from the updates-testing repositories. 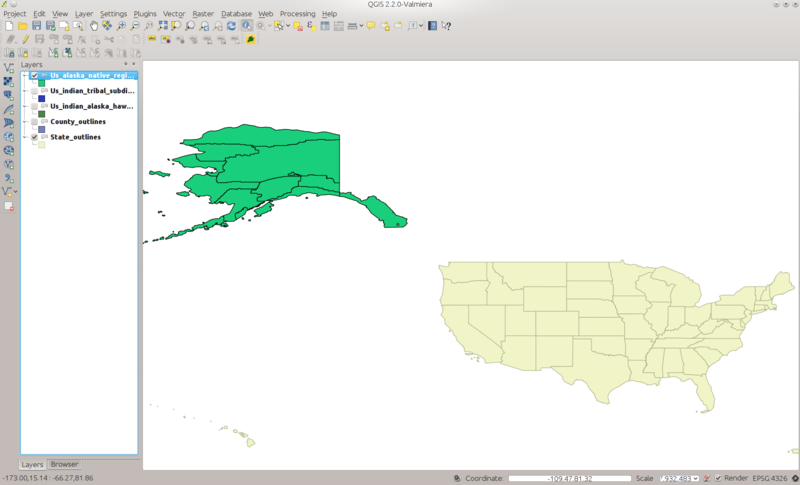 Based on your distribution, you should find it in your GUI-based package manager or by running commands such as yum search postgis or apt-cache search postgis from the command line. 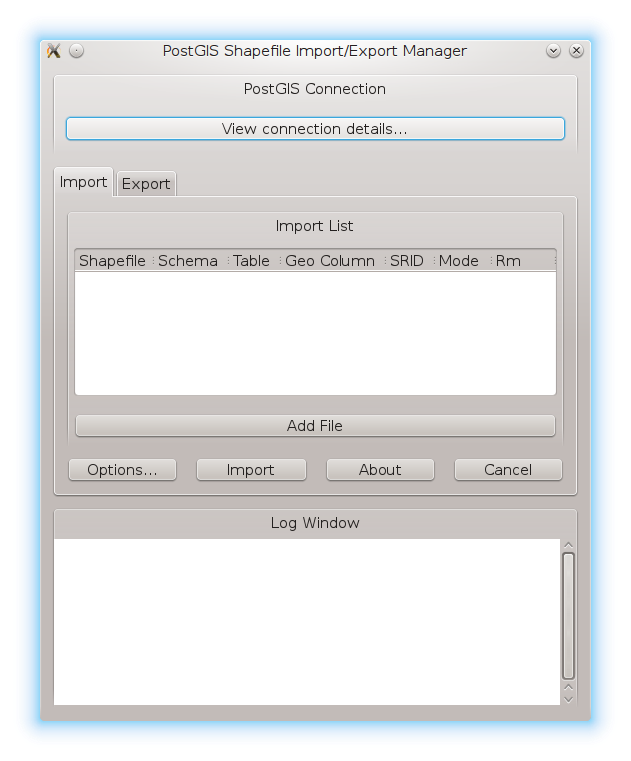 On Windows, head to http://postgis.net/windows_downloads to find an installer for your platform. You can find install information at http://postgis.net/docs/postgis_installation.html. Again, I am not going to duplicate their instructions here. They spent a lot of time writing it up, so you can read how to install there 🙂 Note that I HIGHLY recommend that you use PostgreSQL 9.1 or later. Version 9.1+ makes it much easier to create a spatial database than previous versions and adds some additional speed benefits. 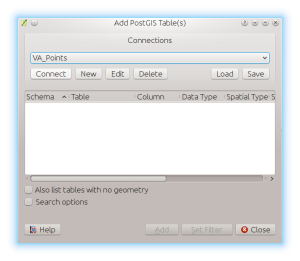 psql -d gis_templatedb -c "CREATE EXTENSION postgis;"
psql -d gis_templatedb -c "CREATE EXTENSION postgis_topology;"
The above commands create a database and load the geospatial functions from PostGIS into it. 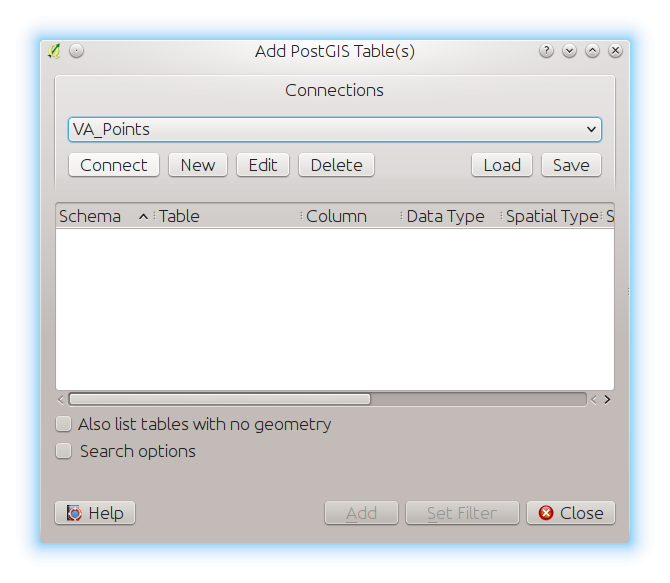 These functions allow the database to store spatial data and perform operations such as find all the points nearest to this one and let you search for specific data using SQL operations. The reason you want to have a database template is simple: it makes it much easier to create other geospatial databases. 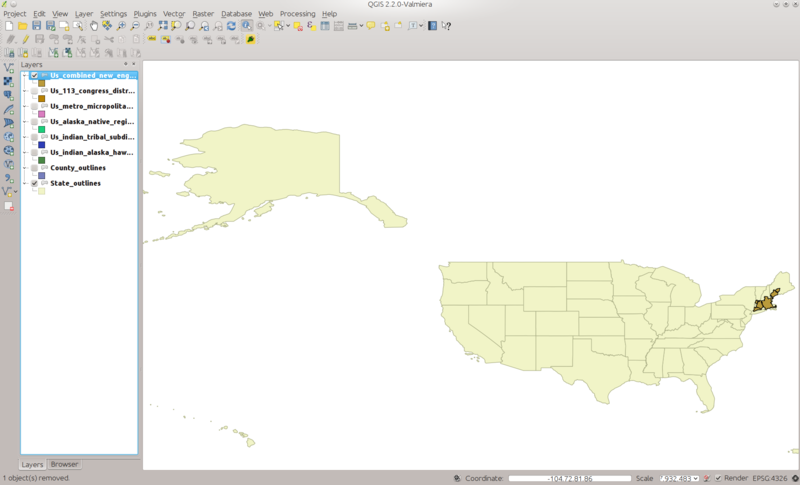 With a template you just have to run a command such as createdb -T my_template_database my_gis_data. Otherwise, you would have to run all of the above commands each time. Once you have followed the installation instructions from the PostGIS website and have a template in place, you are ready to move on to testing it to make sure everything is OK. Download and unzip this file somewhere on your system. 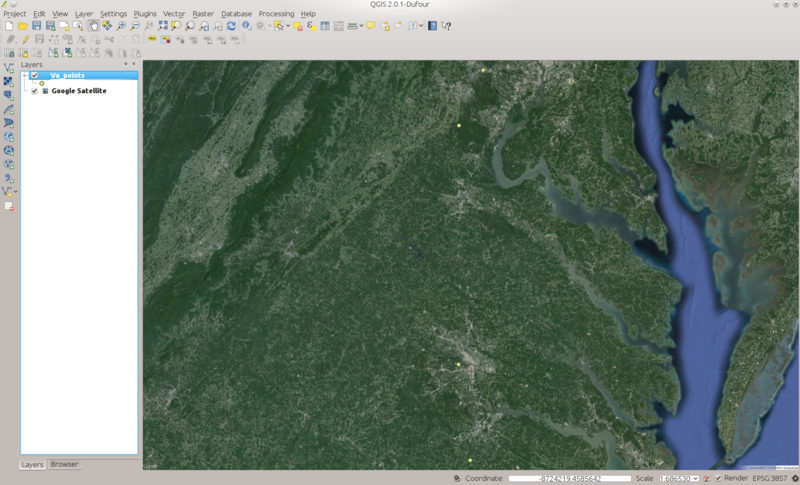 It is a Shapefile I made of four cities in Virginia. 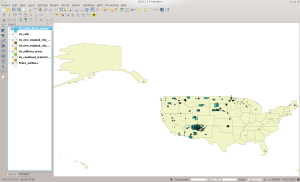 We will use it to test your geospatial database and show you how to load data from it into QGIS. 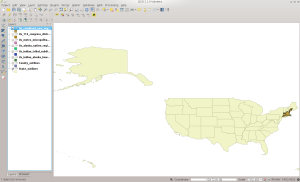 First, create your geospatial database. 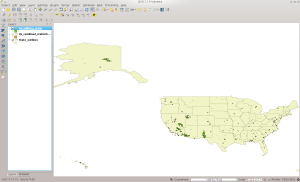 Run createdb -T gis_templatedb testgeodb to create your first real geospatial database. If you get any errors, first make sure PostgreSQL is running and then head to the troubleshooting sections of the PostgreSQL website. 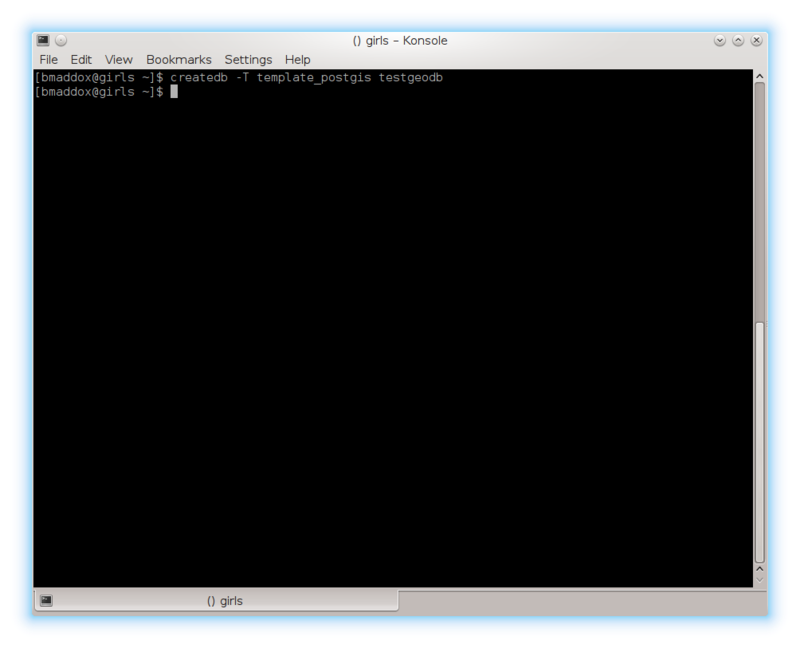 If it worked correctly, the command will simply return as shown below. 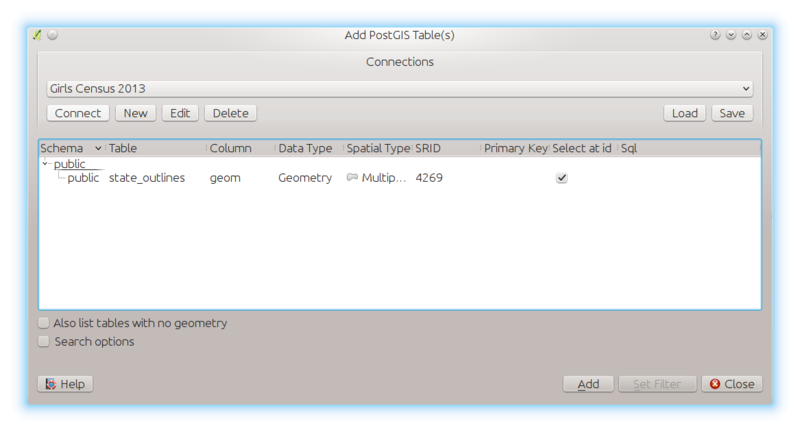 PostGIS comes with two versions of a utility to load Shapefile data: shp2pgsql and shp2pgsql-gui. 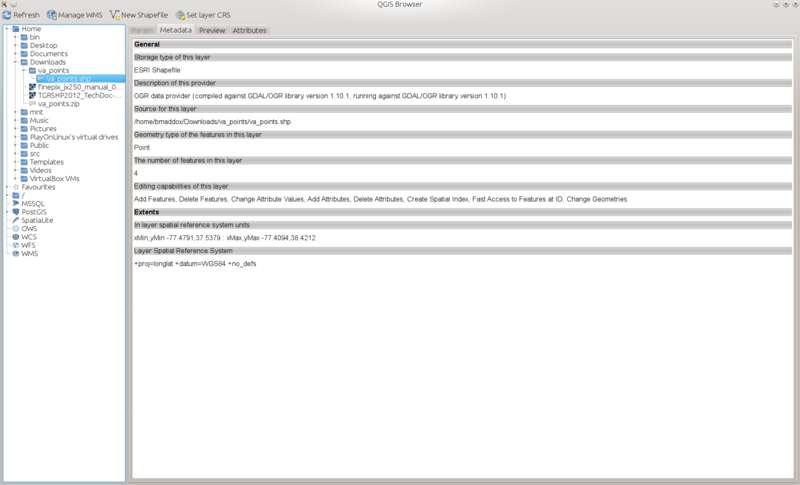 Respectively, the first runs from the command line and you must pass it options to select items such as the EPSG code and the second is a full GUI that lets you click to select your options. 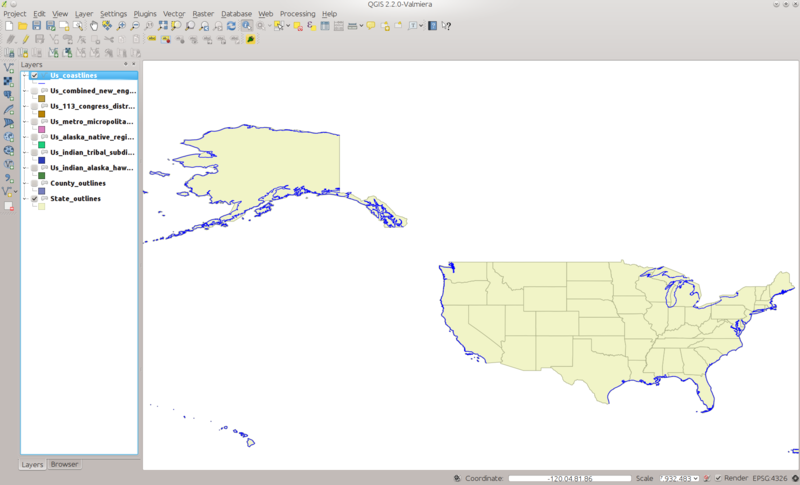 As this is a simple Shapefile, we will use the GUI version so you can get some experience loading data. 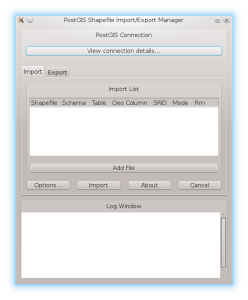 Find the shp2pgsql-gui command on your system. 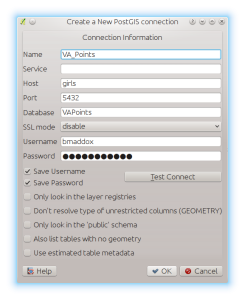 On Windows it should be under the PostgreSQL menu entry. 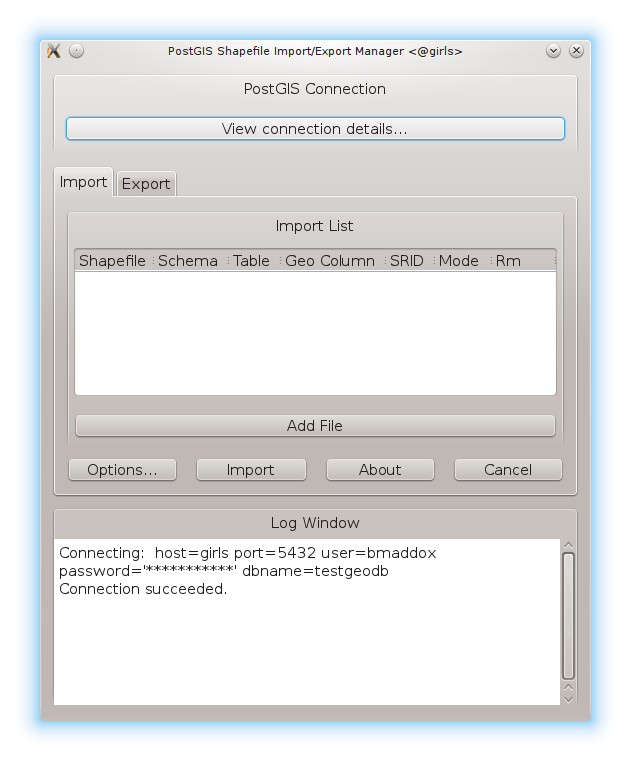 Under Linux it should be installed to /usr/bin/shp2pgsql-gui. 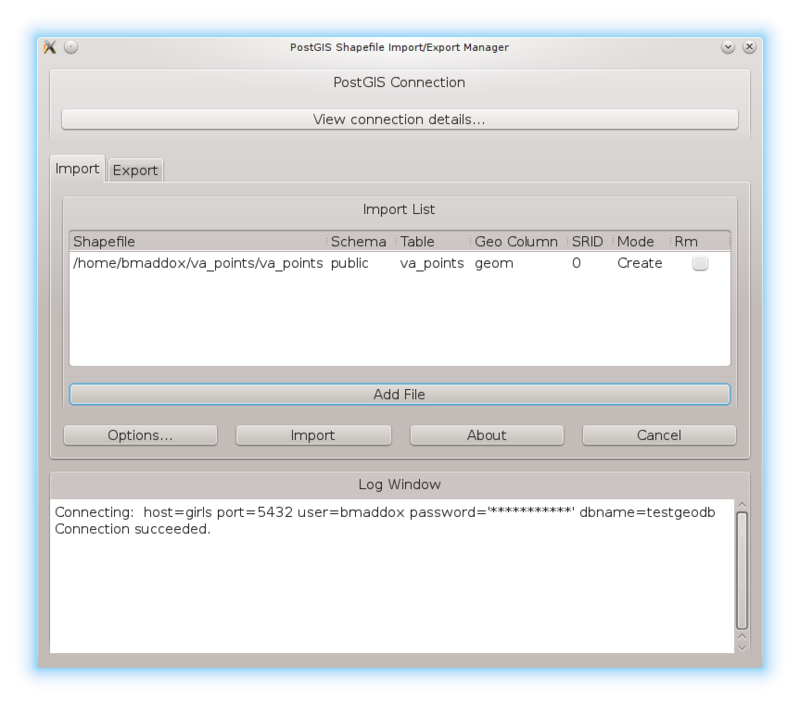 Currently (11/29/2013), if you are running Fedora 19, the PostGIS RPMS contain a broken copy of shp2pgsql and shp2pgsql-gui. You can click here to download fixed RPMS I made that will update PostGIS on your system. The file is a zipfile with the RPMS. 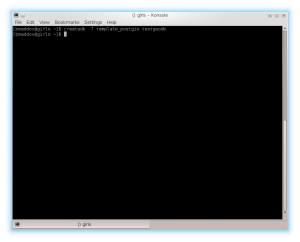 Run unzip postgisfixed.zip from a shell to extract the files and then change to the postgisfixed directory. Run rpm -Fvh * as root from the directory to upgrade your copy of PostGIS. 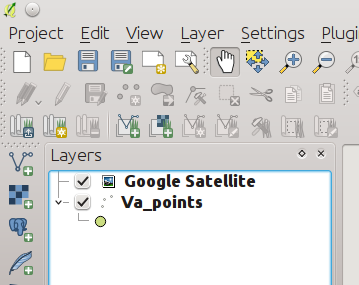 The first step is to click the “View connection details” button under the PostGIS Connection label. You will be presented with a window where you can enter in your connection options. Type in your database options and click the OK button. You should see something similar to the below picture showing that your database connection succeeded. 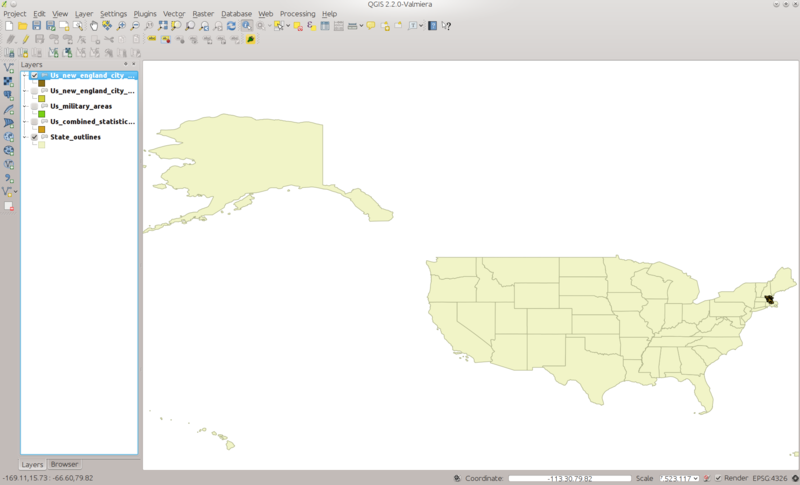 Now load the Shapefile into shp2pgsql-gui. 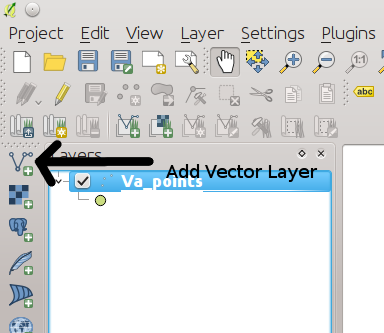 Click the Add File button and navigate to where you unzipped the va_points.zip file. 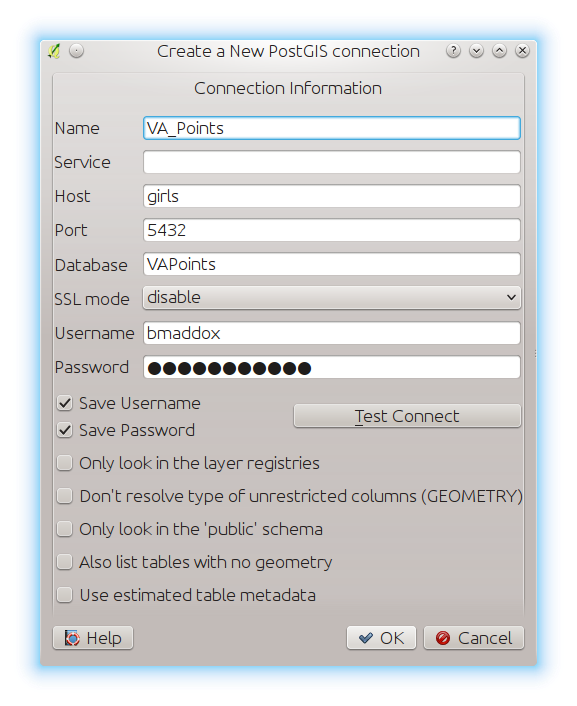 Click on the va_points.shp file in the sub-directory and shp2pgsql-gui should look similar to the following screen shot. Before you click the import button, you will likely need to change a few options. 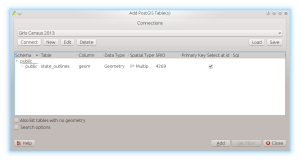 Shp2pgsql/shp2pgsql-gui always default to a 0 for the SRID (Spatial Reference system IDentifier). 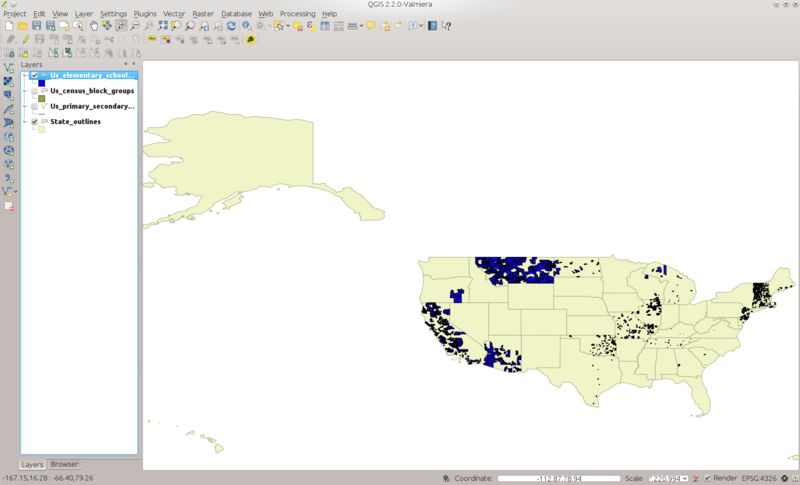 This number specifies the European Petroleum Survey Group (EPSG) code that denotes the coordinate system of the source data. In the case of va_points.shp, double click under SRID and enter in 4326. This code stands for WGS84, which is the projection I used when I created the Shapefile. Once you have done this, click the Import button. Shp2pgsql-gui will pop up a status window and then give you a Shapefile Import Completed message as shown below. That is it, your data should be in your database. 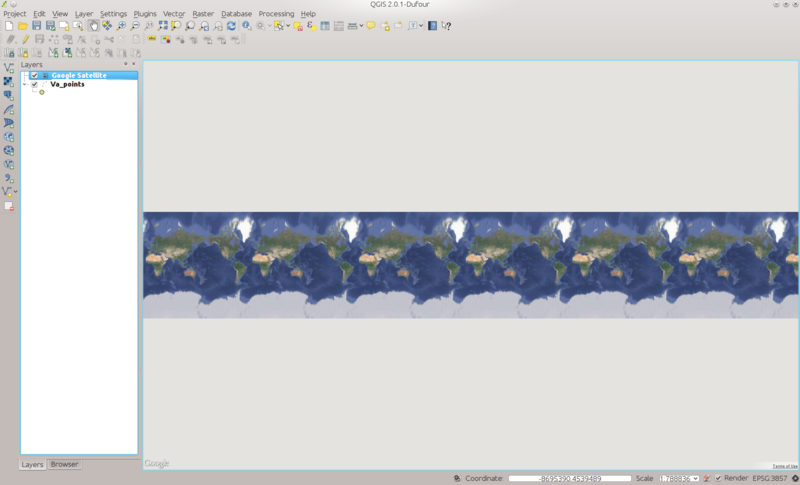 If you get any errors, double check the connection parameters and try again. 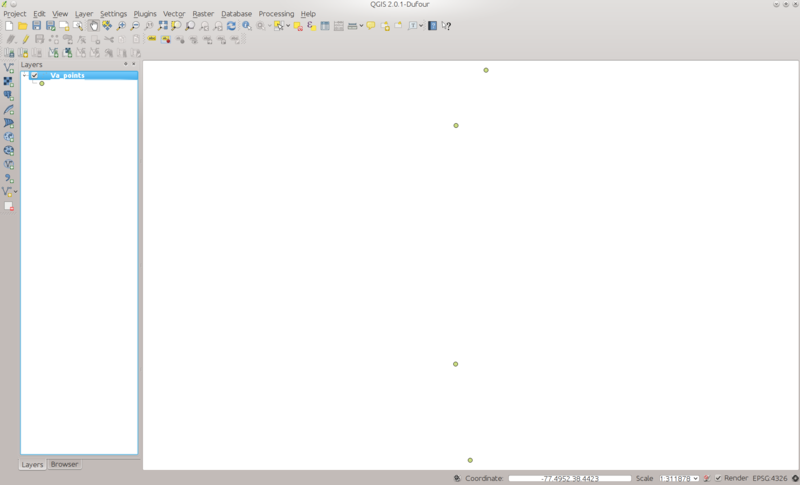 If it still does not work, check the troubleshooting sections on the PostGIS website. Next time, we will go over installing QGIS so you can look at the data you just imported into your database.